Joubert-Tradauw Vineyard in Barrydale open their farm in true Klein Karoo hospitality style and welcome visitors to join them for a weekend of food, wine and live music. We promise live music throughout the weekend and have included camping and ablution facilities on the farm so you don’t have to drive! Taste the Klein Karoo with a Deli Alfresco Saturday lunch included in the ticket price. There will also be a market style tasting area on the farm with all sorts of delicious local fare on offer. 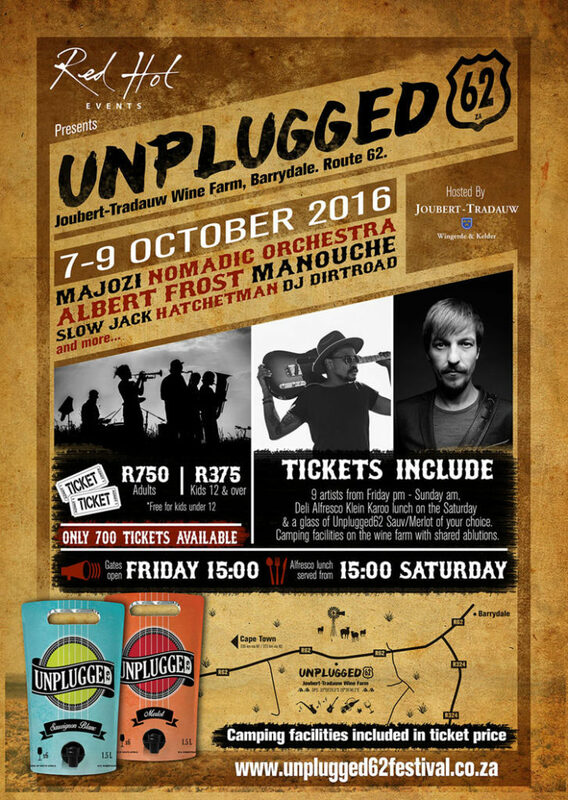 Unplugged62 promises to be a great family gathering- all ages are welcome.